Having a sense of purpose is probably one of your most value business assets; yet few take the time to tap into it. In today’s marketplace, possessing a sense of purpose is essential for career growth. It helps us to deal with difficult personalities at work, take risks, make tough financial decisions, and create new opportunities that will enrich our personal and professional destiny. Nowadays, many rush into branding themselves, when the initial focus should be defining what you are branding in the first place! It is virtually impossible to communicate who you are and your vision for the future without first discovering and developing your purpose. Purpose is your reason, your function and your intention, helping to give you meaning and shape your goals. A core principle I emphasize during my ME University business courses and live events is that purpose both propels you and protects you. It keeps you focused. After all, there are many things you could do, but very few things you should do. Like a corporate mission statement, your purpose keeps you on track. Finding your purpose is not as hard as most people think. Your purpose is what drives you. It is what makes you passionate. 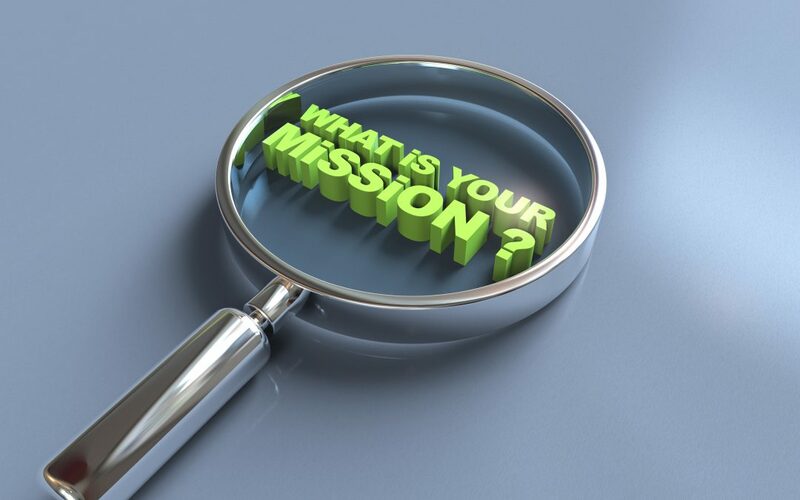 Certainly, you have heard of corporate mission and vision statements. Companies use these statements as directives to help keep business operations on course. It is also a means of succinctly communicating to the world the company’s ultimate purpose. This is your opportunity to do the same! Step 1: Outline Your Passions – List the top three things about which you are most passionate. Reflect upon the things you do with ease, enjoyment and fulfillment. Your passion is almost always tied to having some type of a meaningful and positive impact on others. Step 2: List Your Proficiencies — List the top three talents, abilities and skills that you possess and perform extremely well. Your proficiencies can include things that you have learned to do over time, and also things that you do well naturally. Make sure you take into account the things that your peers, friends, family and clients compliment you on as well. Step 3: Determine Your Desired Legacy – Finally, take time think about the type of impact that you want to have on the world; not just in the marketplace. Your career and your calling are not always one in the same. Usually, your job is what you do, but it does not define the sum total of all that you are or what you desire to do with your life. However, by knowing your purpose, you are better equipped to manifest your calling in the marketplace with more confidence, clarity, and satisfaction. Your desired impact might include creating educational opportunity for others, mentoring young people, creating an enterprise in the community, problem solving, or making people laugh. My purpose is to fulfill my passion of (insert passion) by demonstrating my (insert proficiency and/or pleasure) in order to (insert desired impact). My purpose in life is to fulfill my passion of motivating others by using my skill of public speaking in order to equip others to maximize their potential. Now that wasn’t too difficult, was it? A sense of purpose empowers us to resist mediocrity, and equips us to persevere through adversity. The sooner you realize that, the sooner you walk with direction, discernment and discipline in reaching your goals and dreams. How important do you think it is to be purpose-driven in the marketplace? Leave your thoughts and questions for me in the comment section below. Additionally, feel free to share your new purpose statement with the BLACK ENTERPRISE community and me. I look forward to hearing from you. Reinvention Strategistâ„¢ Marshawn Evans is a former Miss America beauty queen turned Donald Trump Apprentice, turned Georgetown University trained sports & entertainment lawyer who equips the motivated to live without limits. She is Founder of ME Unlimited, a management consulting and performance strategy firm, and author of the bestselling book, SKIRTS in the Boardroom: A Womanâ€™s Survival Guide to Success in Business & Life. Subscribe to her FREE empowerment e-newsletter at www.marshawnevans.com. Connect with her on Twitter and Facebook.